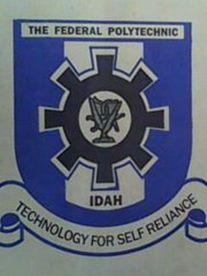 Information seen here is to notify all the NDII and HNDII students of the Federal Polytechnic Idah (FPI), Kogi State that the management of the institution has released the procedure they have to follow to get registered for the 2018/2019 academic session. These are the steps for the payment of school fees for 2018/2019 academic session by returning students (NDII AND HNDII). The returning students (NDII and HNDII) are to visit the school portal, www.fepoda.edu.ng to register and generate the Remita Retrieval Reference (RRR) number for the payment of their respective school fees (see financial guide for details). The RRR number should be taken to any bank branch of your choice for the payment and obtain the bank transaction slip. You are to return to the portal to confirm your payment and print out the fee payment slip (e-receipt) and your course registration form. See also: Federal Poly Idah School Fees Schedule – 2018/19 [Full/Part-Time]. NB: It is important that all students complete this process to ensure proper registration to avoid being withdrawn from your programme.